MEDASSET is coordinating “Healthy Seas” in Greece for the second successive year. This European initiative aims to recover abandoned fishing nets and recycle them to produce premium quality ECONYL® yarn. Our first dive of the year, which took place over 3 days, was carried out in early April off the island of Makronisos. 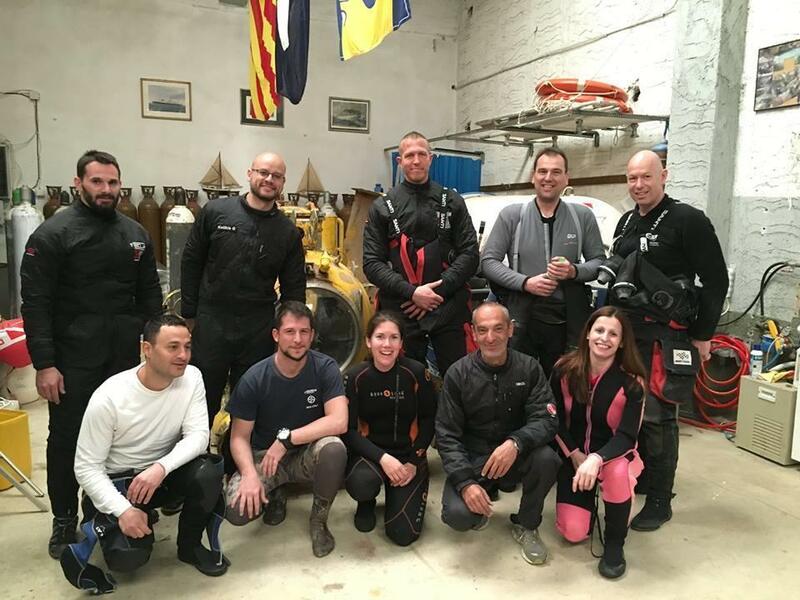 The team was made up of specialist divers from the Netherlands supported by experienced Greek volunteers. Working together with passion and enthusiasm they succeeded in clearing all the nets snagged on the wreck of the “Portugal”, which lies on the seabed off the island’s west coast at a depth of 32 metres. Owing to the position of the wreck and the local currents, the dives were technically quite demanding and the retrieval of the nets quite challenging. We were pleasantly surprised to find a wide range of marine life inhabiting the wreck as it appears to have been colonised by many species of fish. Equally pleasant was the satisfaction the teams felt when disentangling little crabs and fishes that had become trapped in the nets, rescuing them from a needless death.